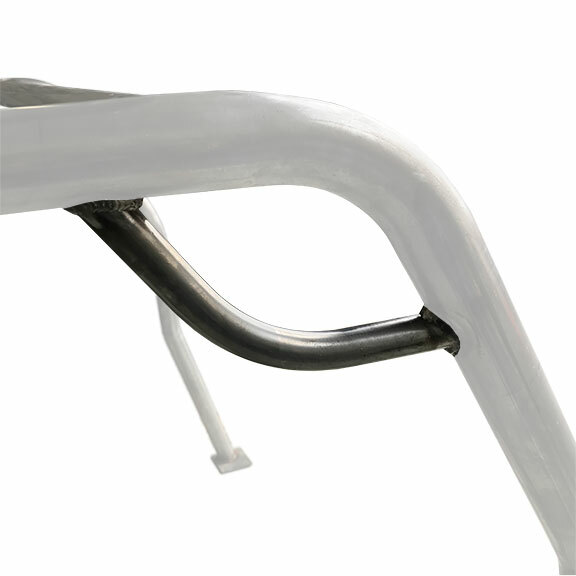 This new weld-on grab handle is a great add-on to any of our interior bars. Designed to weld into the front top corners of the interior bar but can be easily modified to mount in other areas as well. Requires welding. Looks great in the Bronco and gives your passengers a safe hold while on the trail. Sold each.